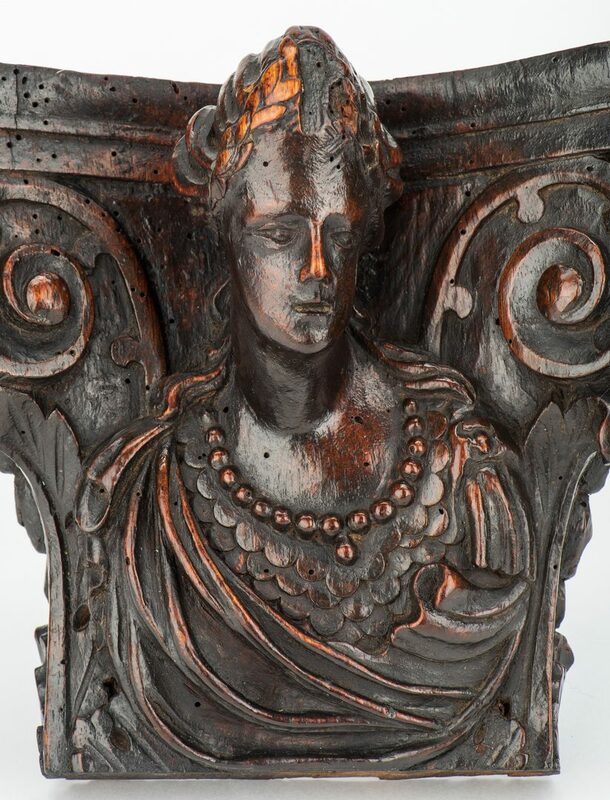 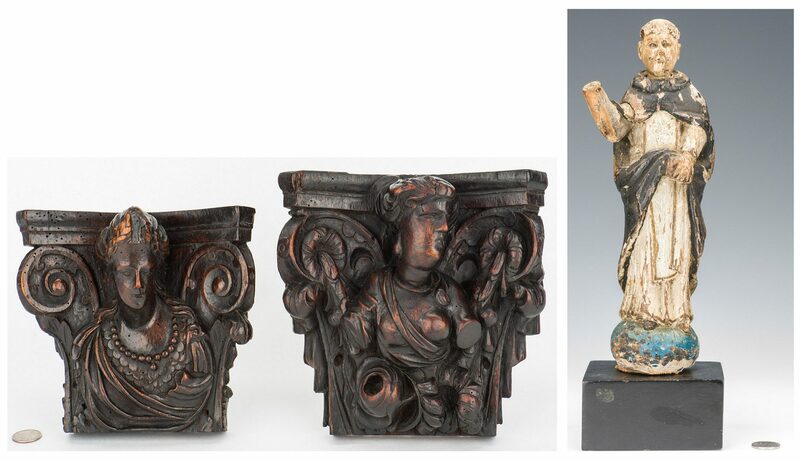 Three (3) European carved decorative items. 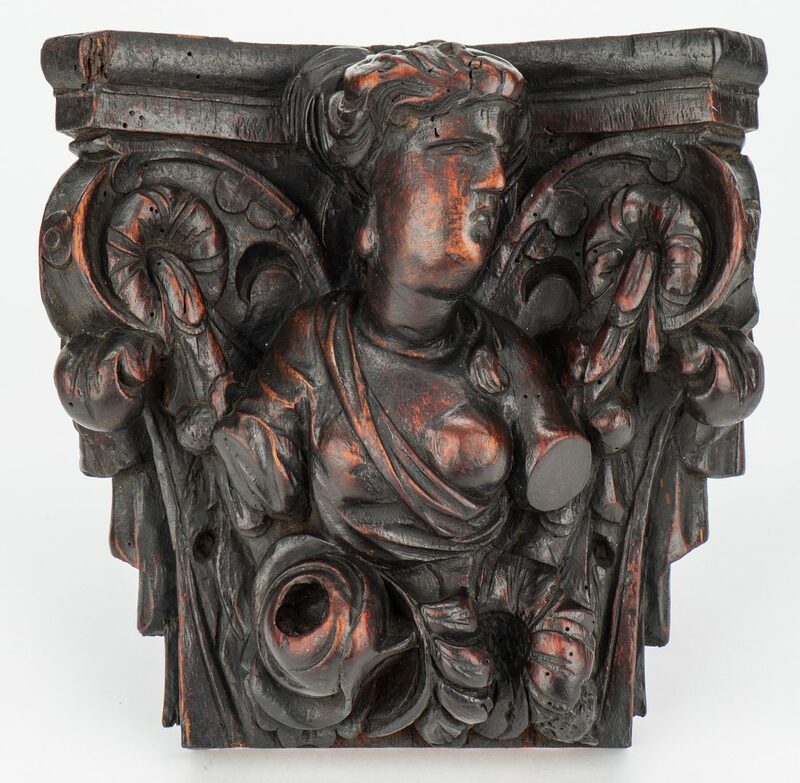 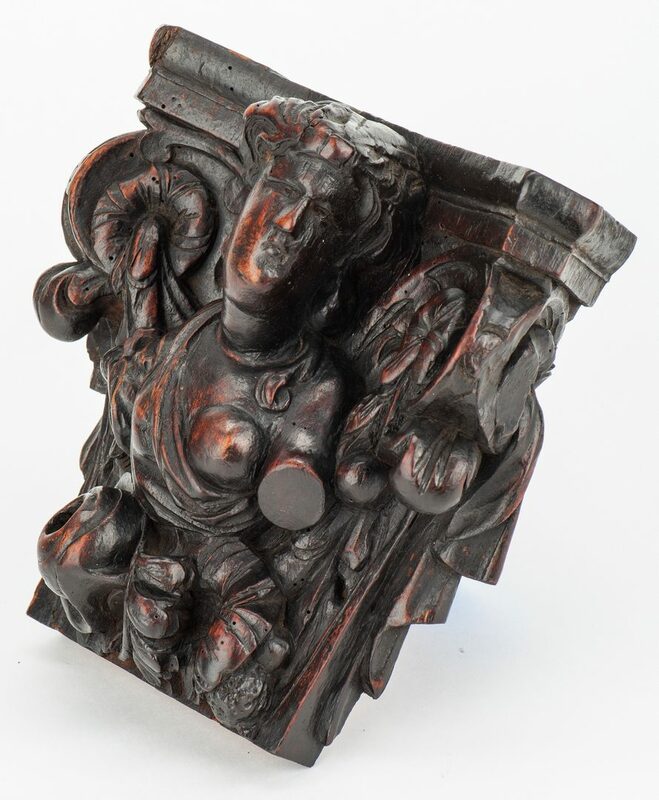 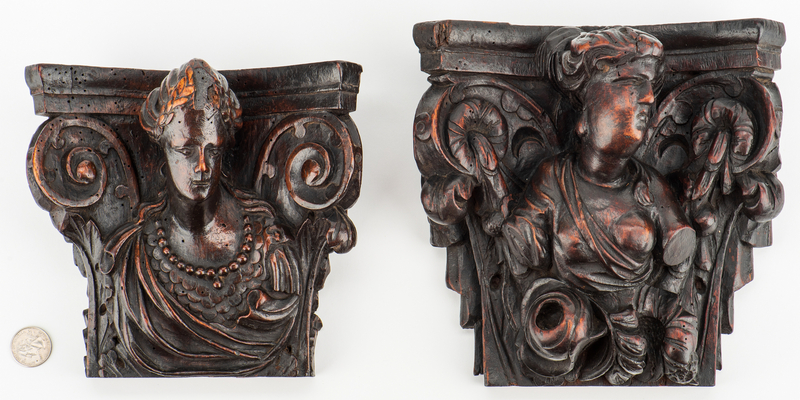 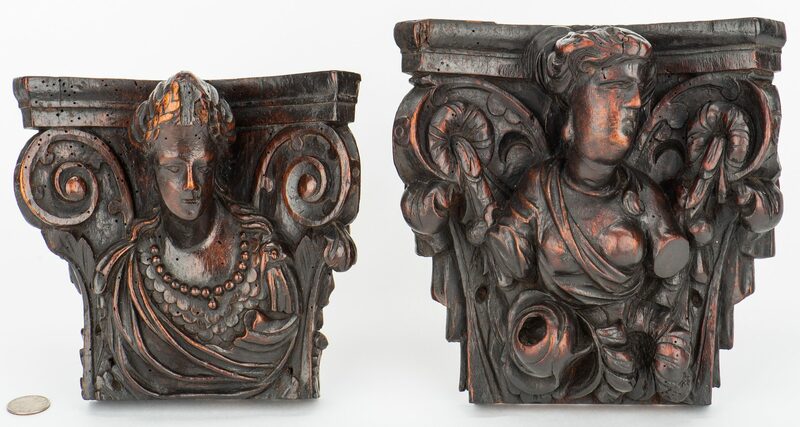 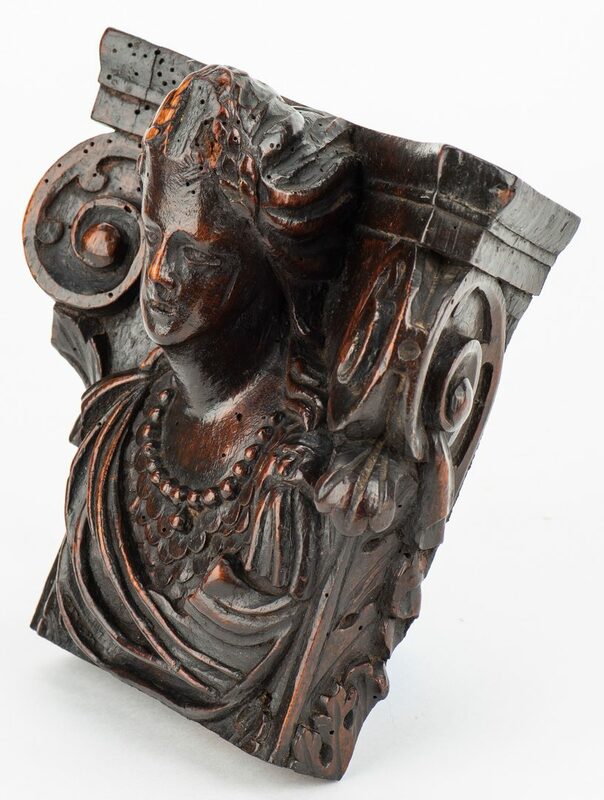 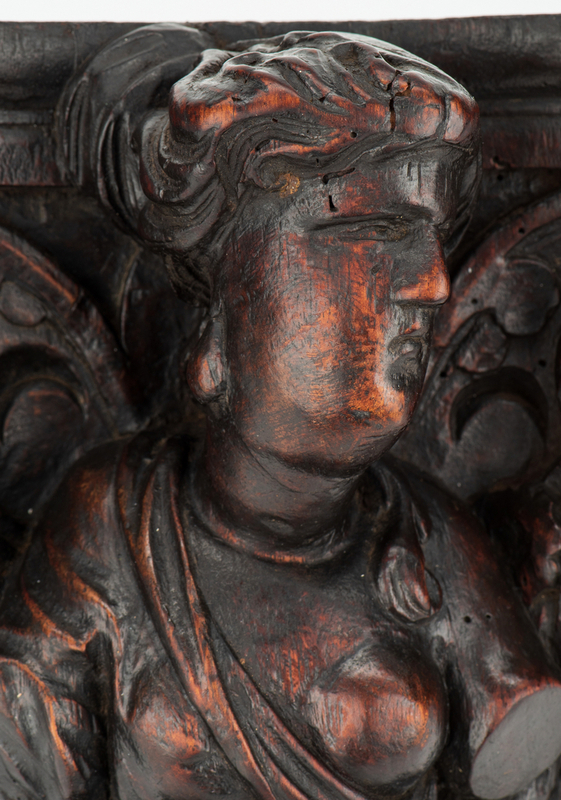 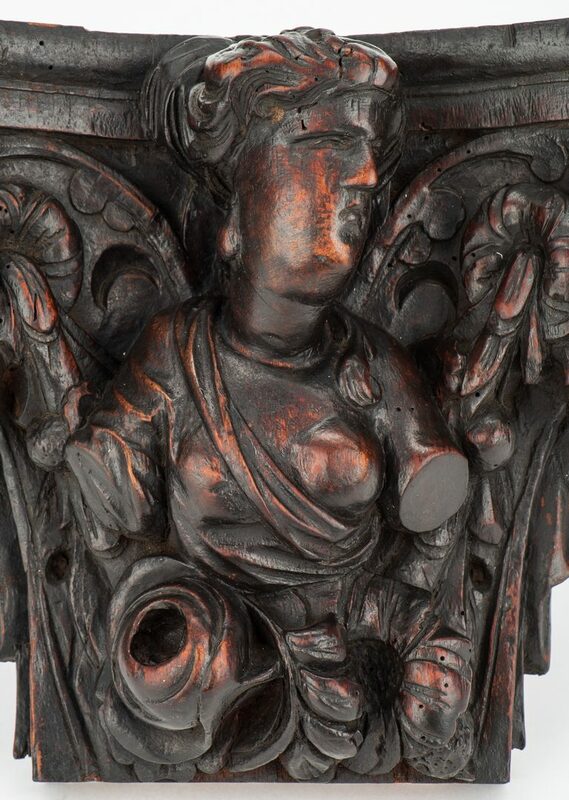 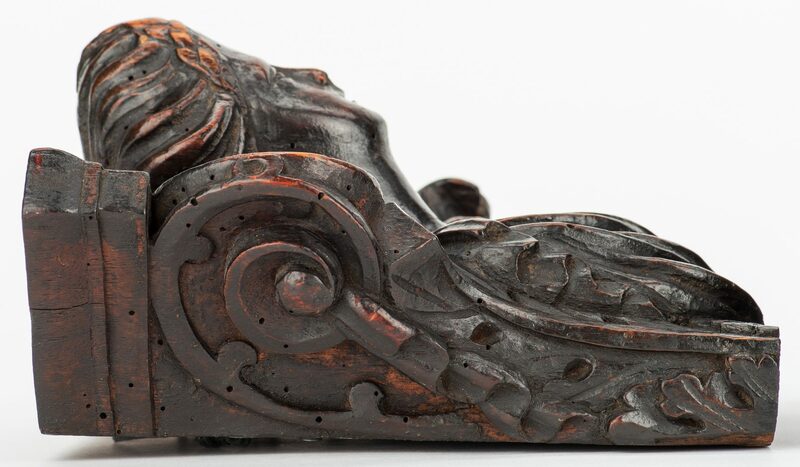 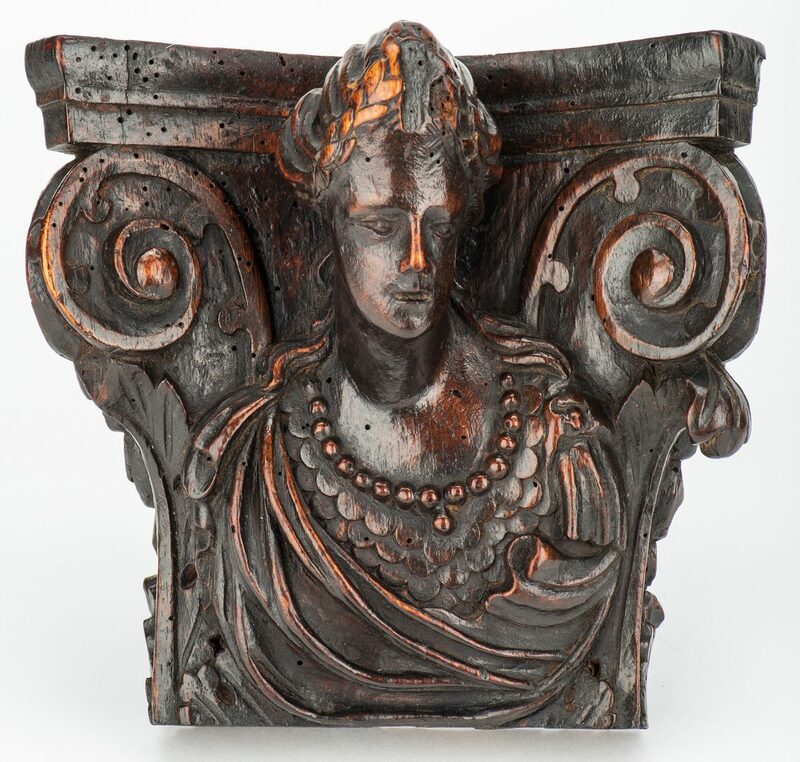 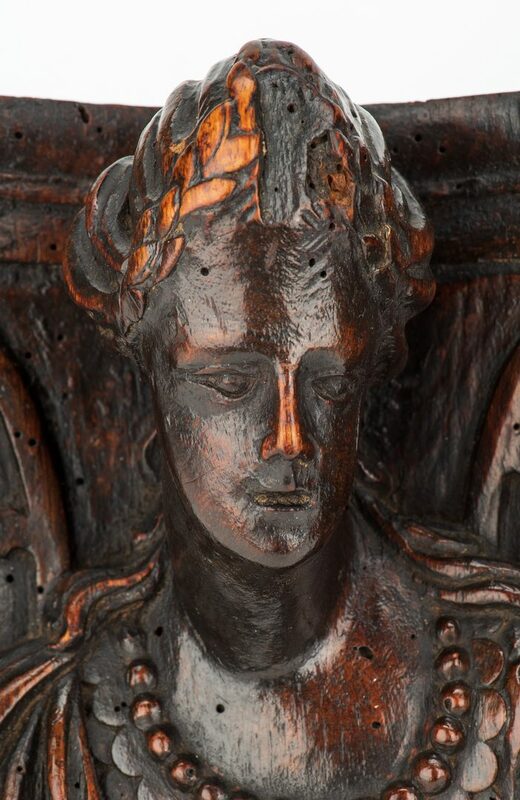 1st & 2nd items: Companion pair Baroque carved wooden figural ornaments, probably furniture fragments, now fitted as wall brackets. 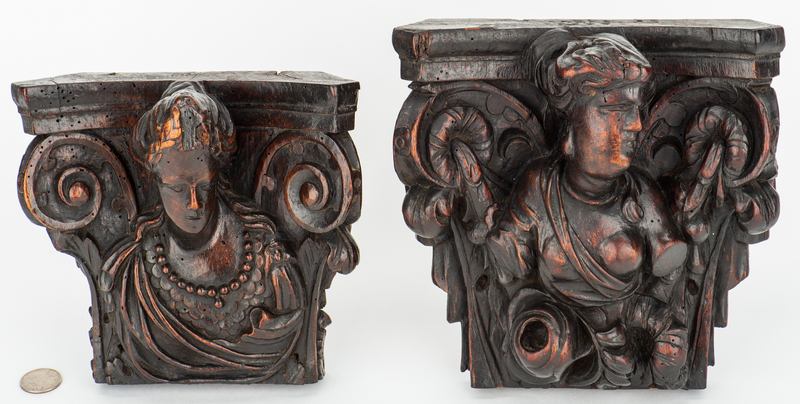 Both approximately 7 1/2" H; 7 1/2" to 8 1/4" W. Continental, Late 17th/early 18th century. 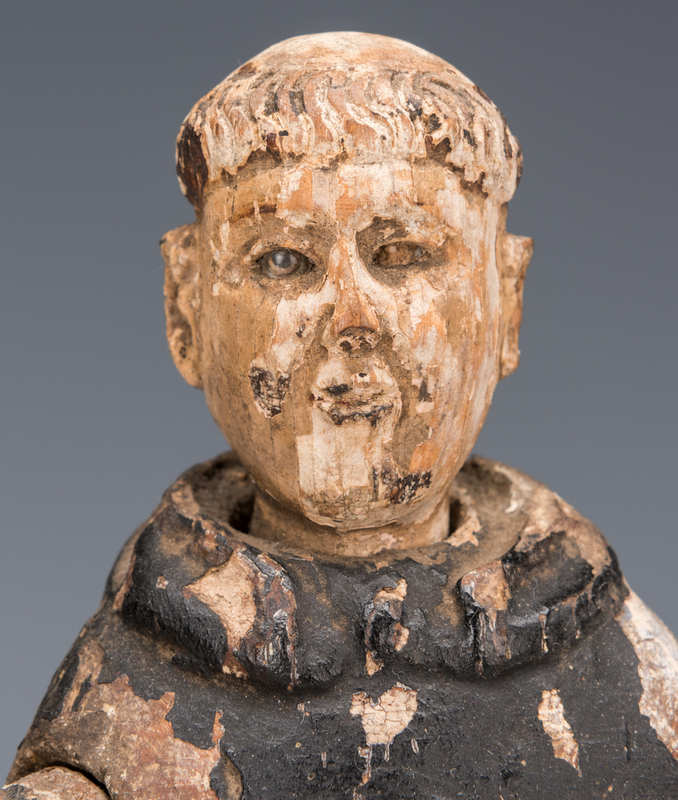 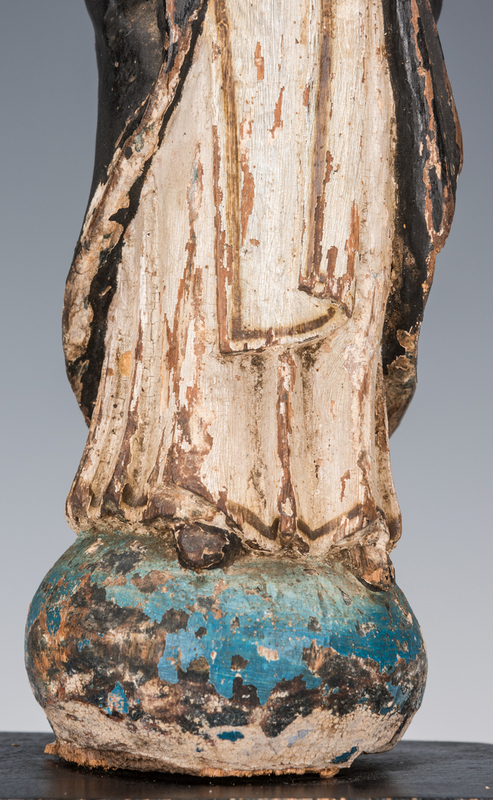 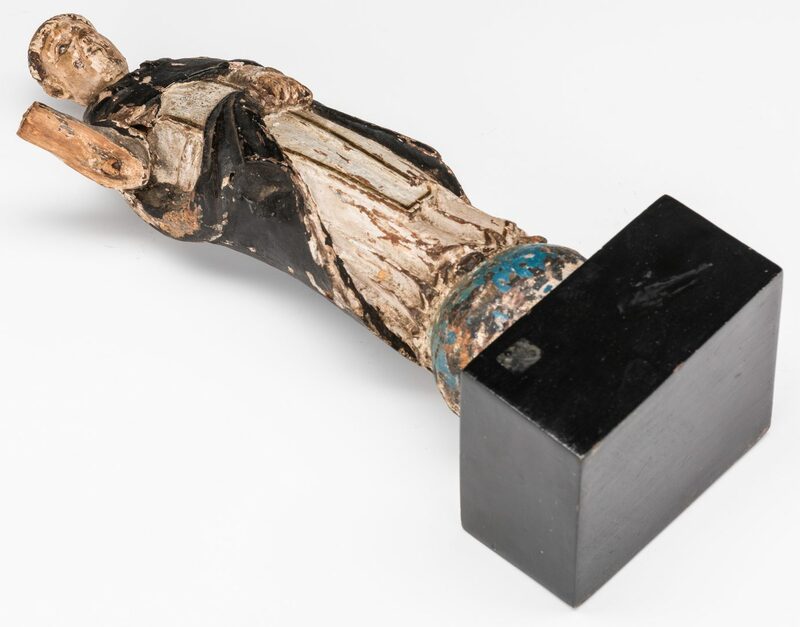 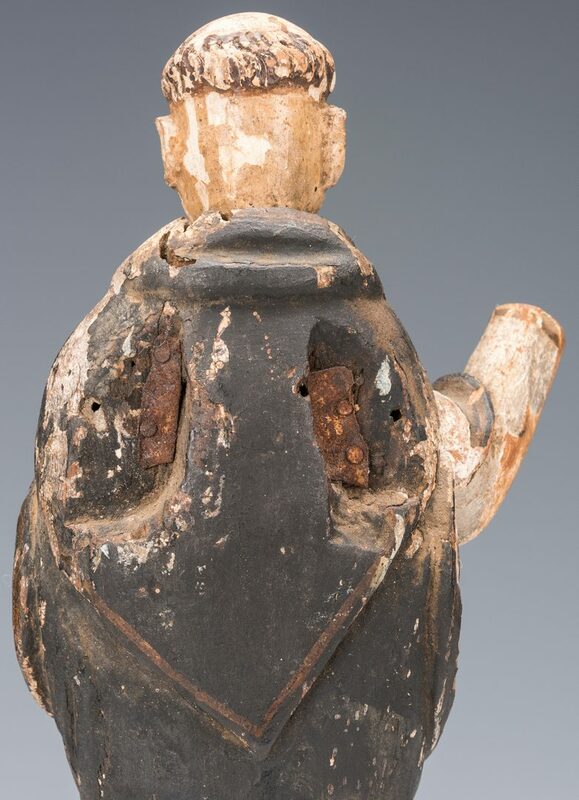 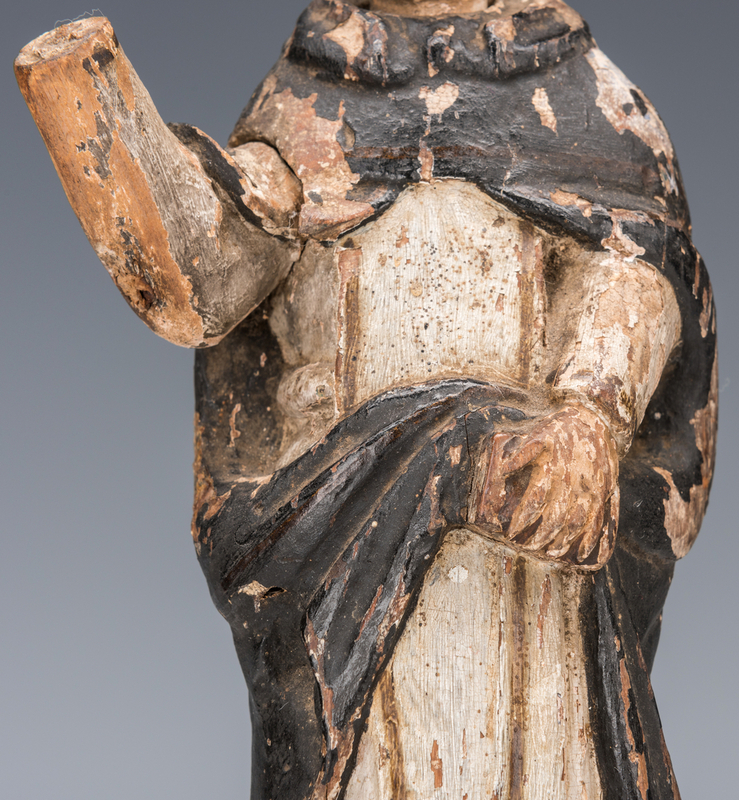 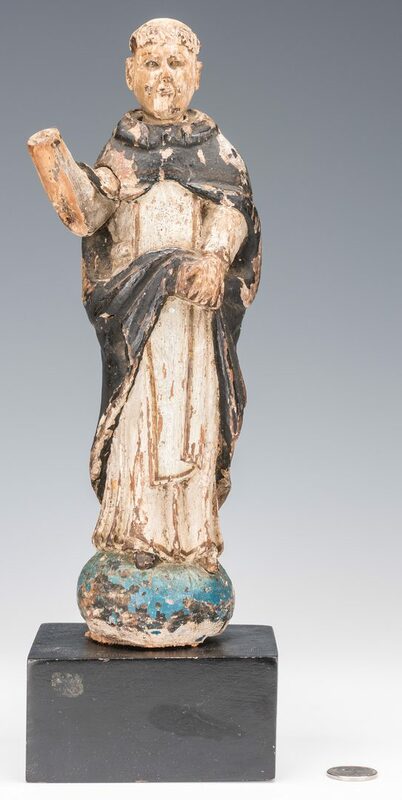 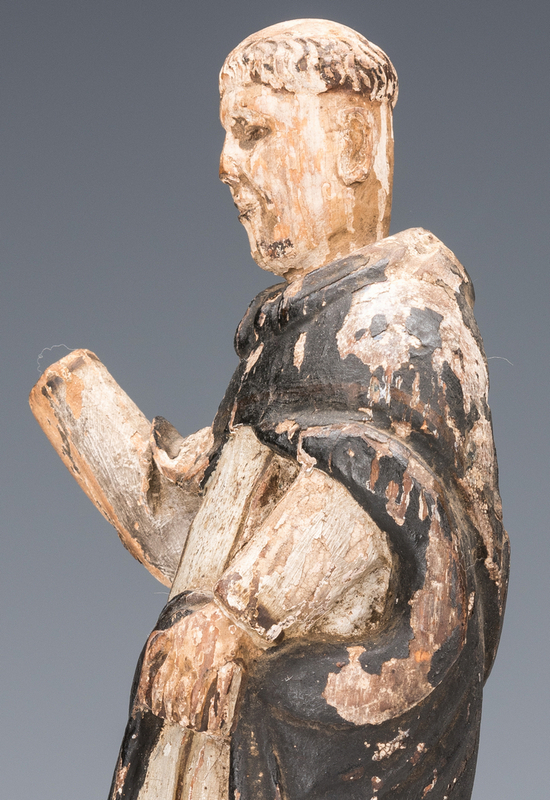 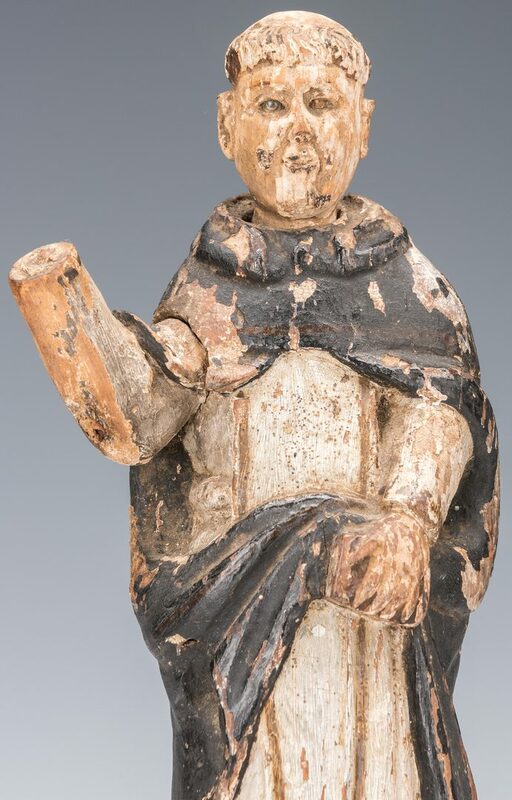 3rd item: Spanish Colonial carved polychrome Santos figure, depicting a standing saint with separate, inset head; wearing white robes and dark cloak, standing on a blue sphere, 10 3/4" H. Mounted to a later ebonized wood base, 13" H overall. 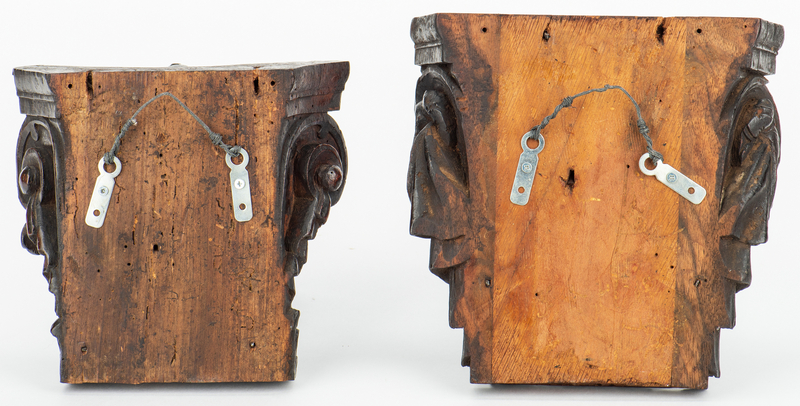 CONDITION: 1st & 2nd items: Some old worm damage, wear and shrinkage. 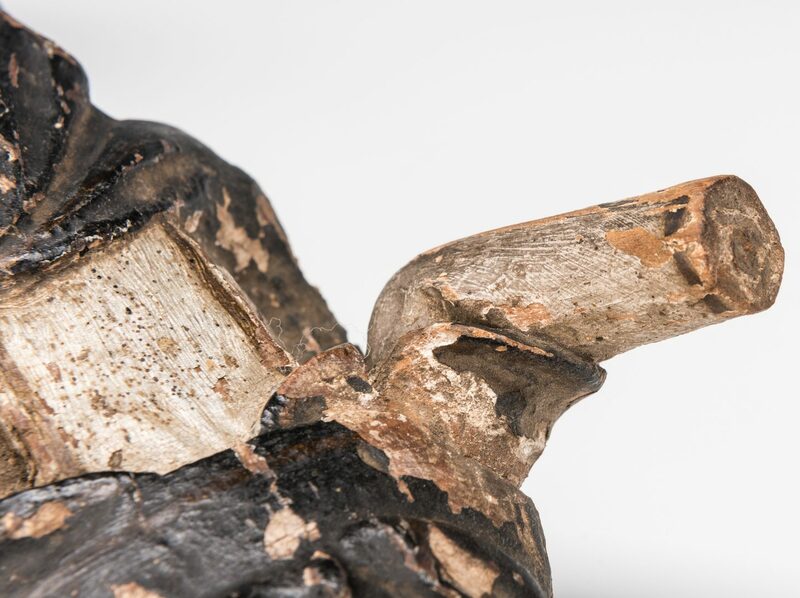 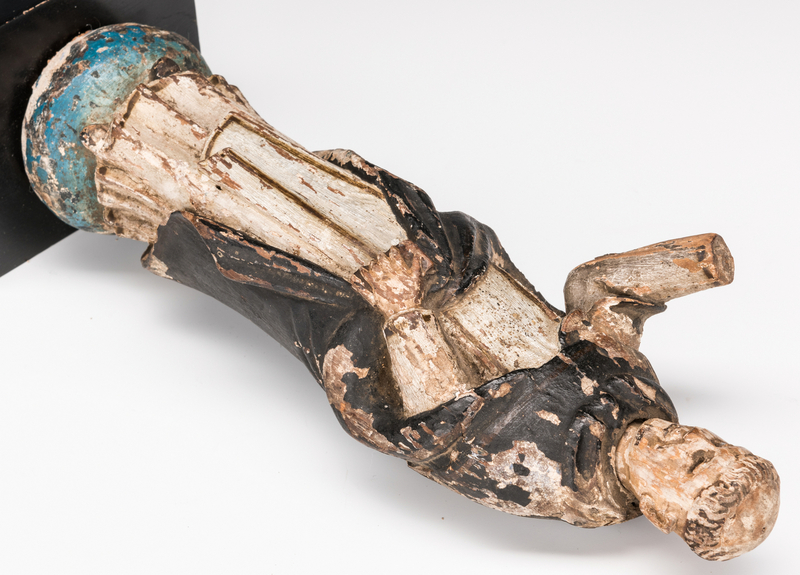 3rd item: Wear and losses to paint, especially at figure's left arm; figure's right hand is missing.